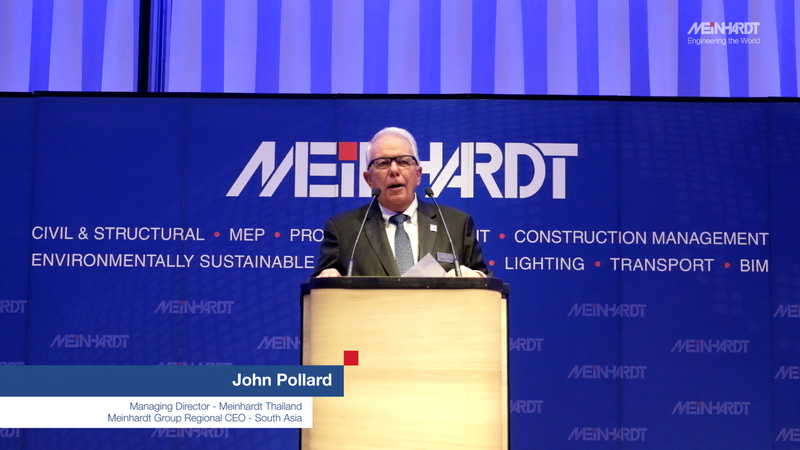 Meinhardt (Thailand) Ltd. was established in 1991 after successfully working on several major projects in the 1980s. The Thailand office provides engineering consultancy services in Civil, Structural, Electrical, Mechanical, Façade, Lighting, Sanitary and Traffic Engineering and Building Physics. Our engineers work in a multidisciplinary environment and have gained a high appreciation for the interfacing requirements between structure, civil works and mechanical and electrical services. Consequently, our designs incorporate multi- disciplines as an inherent part of the design philosophy. 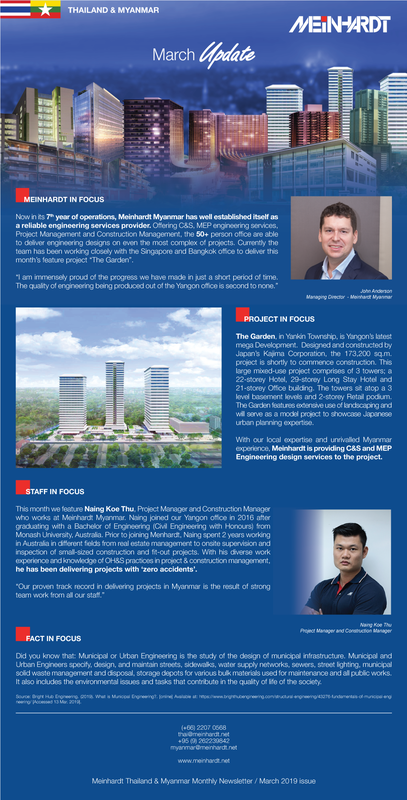 Meinhardt Myanmar Co., Ltd. is a registered engineering consultancy which offers full engineering consultancy services in Civil, Structural, Electrical, Mechanical and Sanitary Engineering. With the support of Meinhardt Thailand Ltd, it also includes specialist design and consultancy services for Lighting, Transport Planning and Façade Technology under the range of services provided. Both offices provide engineering consultancy services in Civil, Structural, Mechanical, Electrical, Plumbing, Project Management, Construction Management, Environmentally Sustainable Design, Transport Planning, Façade Design, Lighting Design and Building Information Modeling. Meinhardt carries professional indemnity insurance and has registered engineers to make all building Authority Submissions. We will continue to focus on acquiring, training and retaining the best talent in the industry to sharpen our competitive edge, whilst delivering client-focused and powerful engineering solutions that are sustainable and highly efficient. The Thailand Office is Certified to ISO 9001:2015, ISO 14001:2015, OHSAS 18001:2007.